Fr. 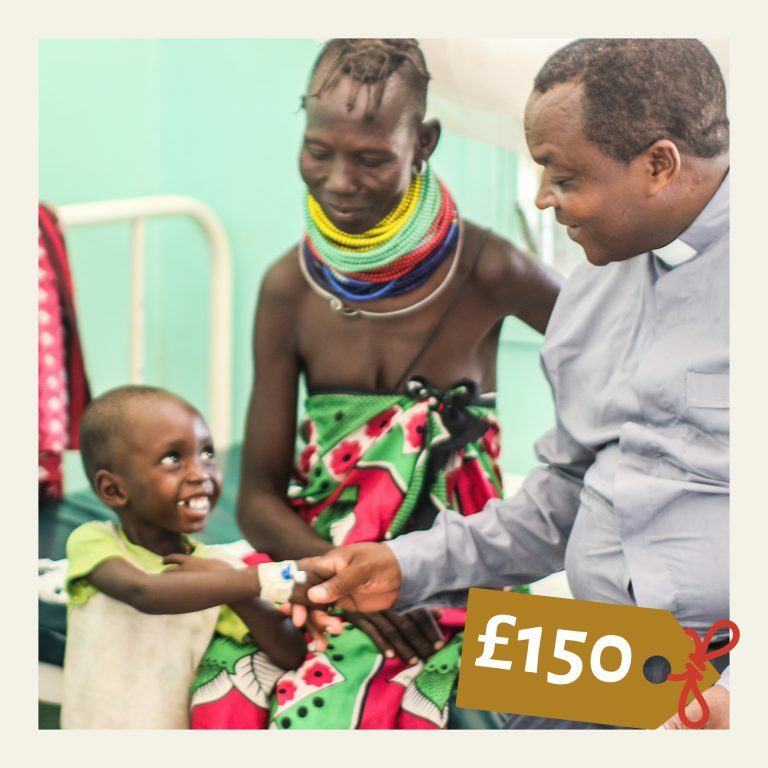 Concorde Akimana (pictured), a catholic priest, 52 years old and Chaplain at the Turkana County Referral Hospital, Kenya, tend to his flock. This is just one of the numerous medical centres supported by ACN projects. After the bomb attacks in Aleppo, Syria, came to an end last December, people affected by the conflict are slowly recovering from their wounds. The Church has made it a priority to bring hope and support to the sick, the elderly and disabled – this includes providing essential medical care and hospitals. In St. Louis Hospital, Aleppo, the Sisters of St Joseph of the Apparition and other medical staff continue to provide urgent assistance to the wounded who are in dire need. The work has increased in the hospital, as it is one of the last standing medical facilities in the northern Syrian city. Your kind gift will ensure that ACN can continue to support this and other medical centres in the countries where we work.